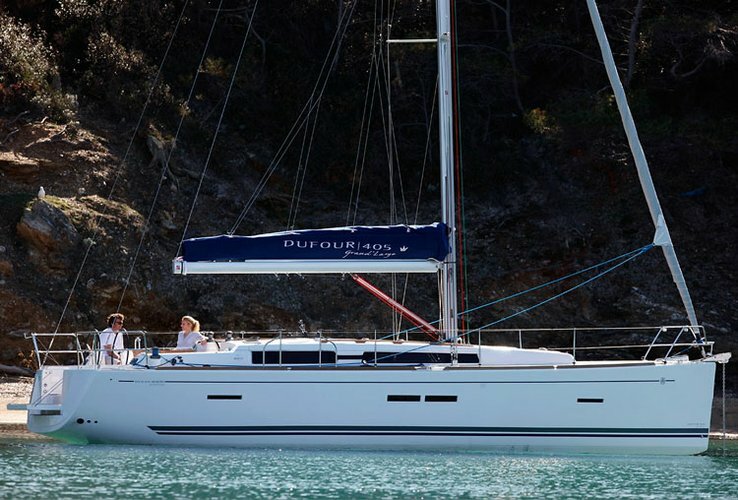 Sailing the Grenadines on a Yacht Charter from Sailo! Saint Vincent and the Grenadines is a country in the Lesser Antilles, in the southern part of the Windward Islands. Hop aboard a St. Vincent yacht charter and go sailing the Grenadines in style! Start planning your Caribbean nautical adventure on a Grenadines yacht charter and get ready to experience the spectacular secluded bays and lagoons with turquoise seas and powder white sand beaches. The best way to go sailing the Grenadines is to let the trade winds guide you to the 32 amazing islands. Our local team recommends starting your trip on a St Vincent yacht charter in the Blue Lagoon - the main harbor of the island. For an easy day sail you can explore the charming Bequia - the green island only 9 miles south of St Vincent. Another popular destination for daily trips is the posh island of Mustique - an exotic getaway for the rich and famous like Mick Jagger and Tommy Hilfiger. Your Grenadines yacht charter is your ticket to a fantastic and diverse nautical experience: drop anchor next to quiet uninhabited islands that can be yours for the day, or dock and enjoy a tour of celebrity mansions! If you are planning to go sailing the Grenadines soon, then you’ve come to right place to find the best yacht for the ride! Read more about things to do by boat in St Vincent and the Grenadines in our Caribbean sailing vacations - Windward Islands destination guide! In addition to your St Vincent yacht charter, we recommend checking out our top selection of boat rentals and yacht charters close by: Grenada, St Lucia and Martinique! For details about your Grenadines yacht charter or to make special arrangements for your trip, please send a direct message to the boat representative, or reach out to us on live chat. Sailo concierge team is here to help you organize a memorable sailing adventure on your St Vincent yacht charter!